How To Add Custom Domain To Blogger?Step By Step in godaddy. Hometips and tricksHow To Add Custom Domain To Blogger?Step By Step in godaddy. 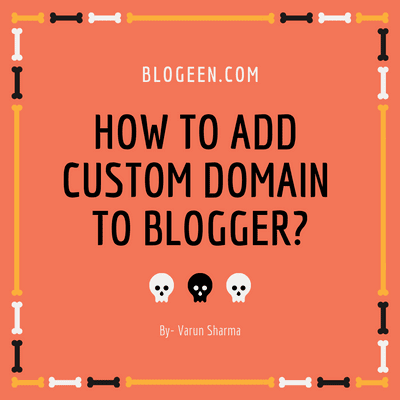 Do you have a blogspot and you want to Add Custom Domain To Blogger blogspot but you don't know How To Add Custom Domain To Blogger then don't worry you are at the right place so hello everybody my name is Varun Sharma and today I am going to tell you How To Add Custom Domain To Blogger, first of all we should know that "what is domain name?" Blogger, that is the product of google allows us to create free blogs but a free blog comes with free domain and that domain is sub domain for example we have a blogspot named blogeen1.blogspot.com it is a sub domain and we have our domain named Blogeen.com friends subdomain is the part of a domain name it is like blogeen1 is the nmae and .blogspot.com is a domain name. By other way after purchasing a domain we can create so many domains we can say that Main Domain name is the father and subdomains are children. There are many benefits of using domain domain in blogger. If you thinks that blogger gives us free domain then why we should purchase domain . Professional Look :- A sub-domain is very big and it is too hard to remember a sub domain, and when you buy a domain name it can be short and easy to remember and you can create a email like "support@blogeen.com". So this will give your blog a professional look.So friends it is very important to have a custom domain in your blog. Alexa Ranking :- If your domain name is 123.blogspot.com and anyone open it in India then it open with 123.blogspot.in , if it will open in America then .blogspot.us, and if someone open in Pakistan then it will open with .blogspot.us. This is a defect in blogger so if you use blogger subdomain then your alexa rank will not increase quickly, it will take so many time to increase your alexa rank. Search Ranking :- If someone search in google then your blog's name come with .blogspot.com and most of the people don't click on such type of domains and your ranking will not increase. Adsense Approval:- It dosen't matter for adsense approval that you have a custom domain or sub-domain.But if you apply for adsense with custom domain then you will get non hosted account. In non hosted account google takes less revenue from you for eg you have earned $10 then google will take from you $2 and his earnings. If you apply for adsense with a subdomain then you will get a hosted adsense account for eg: you have earned $10 then google take $6 from you as his ad revenue and google product service charge. First of all you should have a custom domain if don't have a custom domain then you can buy .com domain for ₹399 BUY NOW . So lets start connecting our domain to blogger. 2) Click on setting and then click on first section "Basic". 4) Enter your custom domain in the given box with "www.yourname.com" and click on save button. 5) Now you will receive message "we have not able to verify your authority of this domain. Error 14" It means that your DNS is not set with blogger. 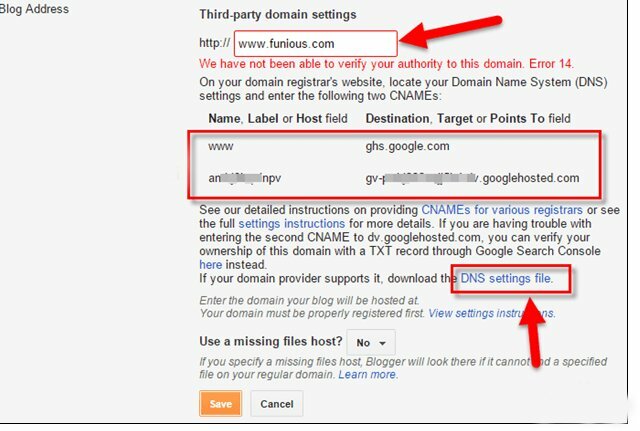 You get 2 CNAMEs records now you have to add that CNAMEs to your domain.You can add these 2 CNAMEs manually you have to download "DNS SETTING FILE" from blogger and you have to upload it in your domain provider account but I have purchased domain from godaddy and godaddy support DNS FILE UPLOAD. 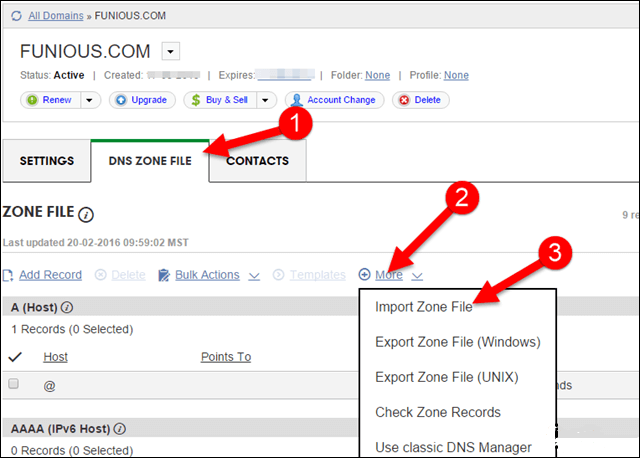 Then download "DNS SETTING FILE" and come to 2nd part. Now your work with blogger has finished.Now its time to add CNAMEs to Godaddy. 1) Login to your godaddy account. 3) Front of Domains click on "Manage"
4) There you got your domains list. 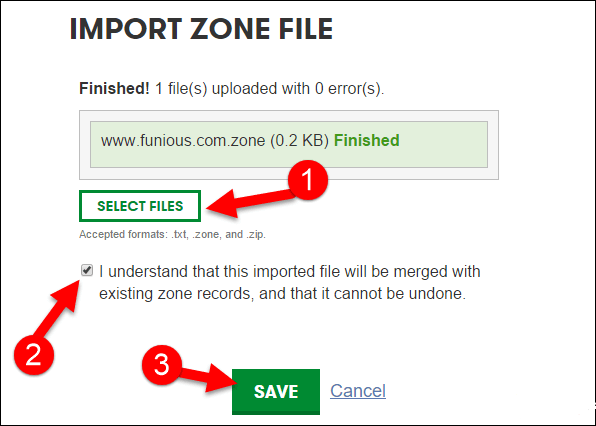 6) Now you have to upload the downloaded file, and click on save button. 7) Then you will receive a message "Records not containing error have been successfully saved " it means DNS file is uploaded successfully. 1) Go on blogger and click on save button. 2) Now you have to click on edit and tick on Redirect Option. That's all friends all things has done after waiting 5 minutes you can check you website by putting your domain it will redirect automatically. Conclusion:- Friends hope you all like our post How To Add Custom Domain To Blogger? Friends please share our post and if you have any questing then please comment we feel happy to help you and don't forgot to subscribe our newsletters.